11 apple varieties of incomparable taste and uncommon quality! 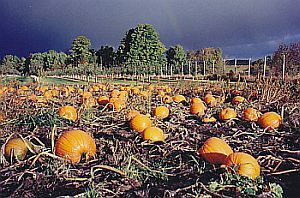 And just in time for Halloween, our pumpkin patch provides fun for the whole family. Pick your own and let your carving imagination run wild. We'll have lots of squash and gourds too!! Start a Family Fall Tradition at Golden River Orchard.